It is super cold in my kitchen today here in London, even though the sun is shining. And I'm wishing I had my Moen Cowl samples to keep me warm! Sadly, they are all enjoying themselves at A Yarn Story in Bath for the #AYSWinterCablesKAL, so I'm just going to have to find something else to wrap up in (sobs quietly). 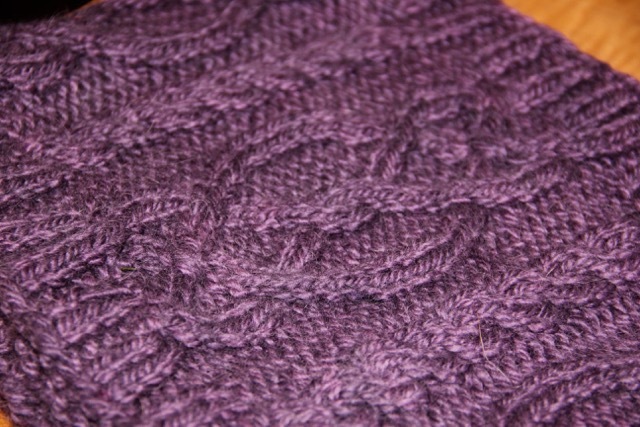 Moen is a super snuggly cowl that uses some of my favourite things all in one project: tubular cast on and bind off for perfectly matching edges, loads of cables that add interest but aren't too difficult to work without a cable needle, and chunky yarn that means the project zips right along! The pattern includes two sizes: a cozy, close fitting version that is perfect for wearing with your winter coat, and a longer, infinity cowl size that can be doubled up for extra warmth, or worn across your shoulders like a shawl. 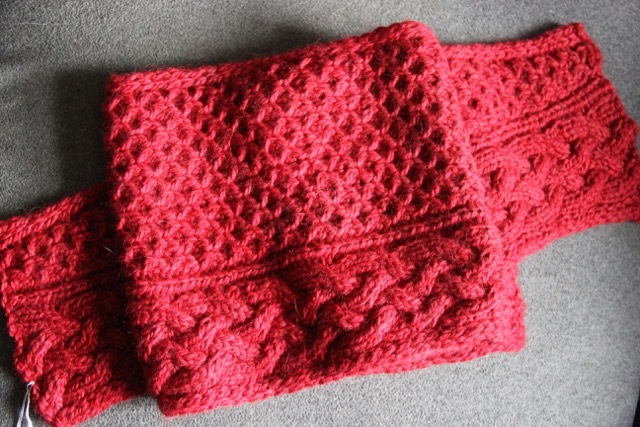 The cable pattern used in this cowl is a bit different: in addition to cable crosses, it also uses some wrapped stitches at the top and bottom of the main cable for extra interest. In fact, I enjoy this cowl so much that I'm using if for a project class at A Yarn Story on Sunday, 29th November, from 10:00 am - 1:00 pm. In the class, we'll cover the tubular cast on and bind off (if you are as OCD as I am about your edges matching), working cables from charts and cabling without a cable needle. If you'd like to join us, you can sign up here. The cost of the class includes materials for the small version of the cowl, and I'll have plenty of yarn for swatching and practicing the techniques. I hope to see you then, but I've got to dig out a sweater and make some tea! I've designed a little cowl with some of the Leaf Peepers BFL I spun up this summer.